farther away from the eroding cliff. The lighthouse should have a safe home for at least the next 150 years. The Lighthouse underway to it's new location. 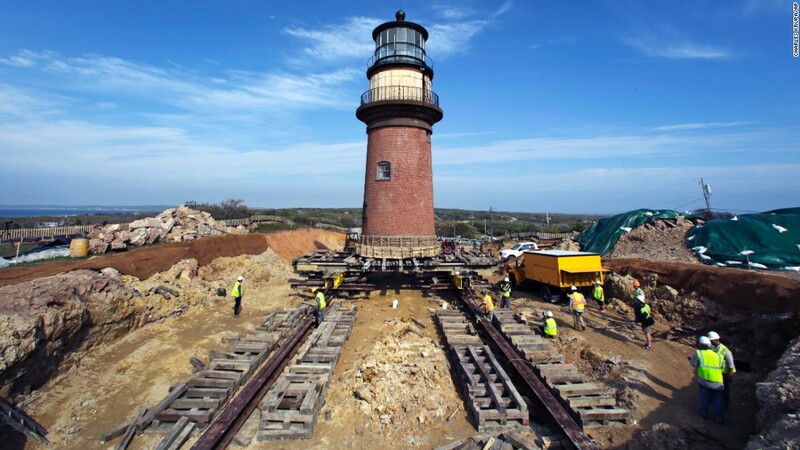 Video of the lighthouse site and the massive equipment required to make the move.